You talked. We listened. Then we designed, tested and rolled out Insight - the most technologically intuitive uprights in the industry. 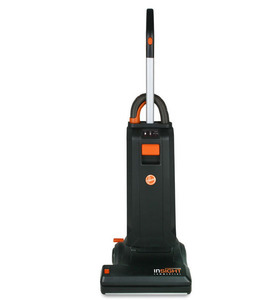 Exclusively from Hoover, the most trusted name in advanced vacuum cleaning. Down with downtime. Up with productivity. For replacement bags, please click here. On-board LED diagnostic module - notifies user when filter, bag or brushroll needs servicing. Takes the guesswork out of maintenance.